Nikki B welcomes three former collegiate athletes now thriving in the professional world: Lindsay Ray, Kelsey Wagner and Megan Nelson. Former collegiate athletes Lindsay Ray, Megan Nelson and Kelsey McCauley soar in business world. Nikki Bondura — aka Nikki B — has a message. A lot of them, in fact, all tightly woven around the message of "Play Like a Girl." The upbeat former collegiate athlete from Northern California wants to build confidence of females who play sports by offering vital life skills and advice in order to enhance their athletic careers, and overall lives. In her weekly podcasts, Nikki B will bring in expert guests to discuss a plethora of topics, ranging from and dealing with teammate drama to peer pressure to social media to relationships to inappropriate coaches. 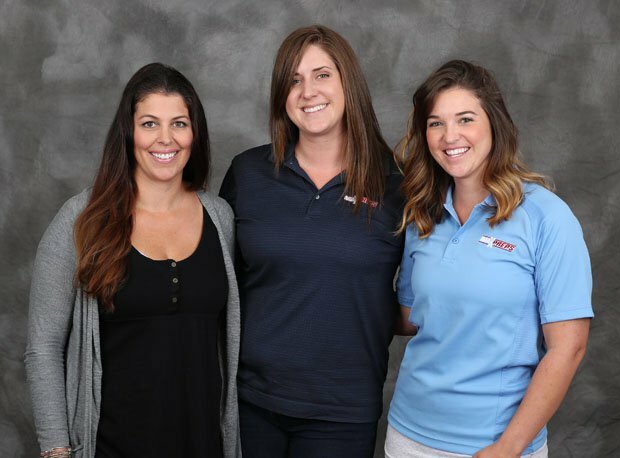 This week, she welcomes three former collegiate athletes — Kelsey McCauley (Western Kentucky softball), Lindsay Ray (UC Davis softball) and Megan Nelson (Cal State Stanislaus volleyball) — who are now thriving in the business world. The talented trio tell how how sports and competition helped pave their path to professional success. A winner on the Golf Channel's "Shotmakers," Nikki B is a former captain of the Sacramento State golf team. She is a leader in the fields of blogging, social media, marketing, networking and branding.